ISJL Speaking, Please Hold While I Connect You With One Of Our Other Communities..."
We’ve all been to a few conferences in our day. Our purpose for going to these conferences usually stems from a desire to learn something new; a need to master a certain subject or skill. Of course, we cannot forget about the opportunity to network. Networking is a very important part of a conference because it gives you the chance to meet and learn with people from different backgrounds and experiences. Let’s take a look at why you are attending the ISJL Conference. Yes, it’s a core aspect of the partnership—but that’s beside the point! The ISJL Education Conference is the only time of year that we have all of our communities together in the same place. Yes, we bring in a keynote speaker, and offer various tracks and study halls—the list could go on for ages. But one of the most important pieces of our conference is you! Without you, how can congregations facing challenges know how to overcome them? Everyone at the conference is working together to tackle on the uphill climb of maintaining a thriving Southern Jewish experience. For example, the education director in a small town with less than five students can find inspiration from someone who shares a similar experience. Or, what about the congregation that no longer has a Rabbi? There are communities of all shapes, sizes, denominations—you name it—that will be at the ISJL Conference. The conference allows you to meet with these communities, and it gives you a space to problem-solve with people who are dealing with similar situations back at their synagogue. One of the ISJL’s goals is for you to build relationships with other communities and utilize these relationships to potentially help your community. To offer an example, during our last conference a lay leader for a congregation in Georgia led a track about making your Passover seder more engaging. A teacher from a different community in Georgia attended this track and loved the idea. As a result, both communities were able to connect and have a Passover seder for their religious school together. We want all of our communities to recognize the value of their attendance. 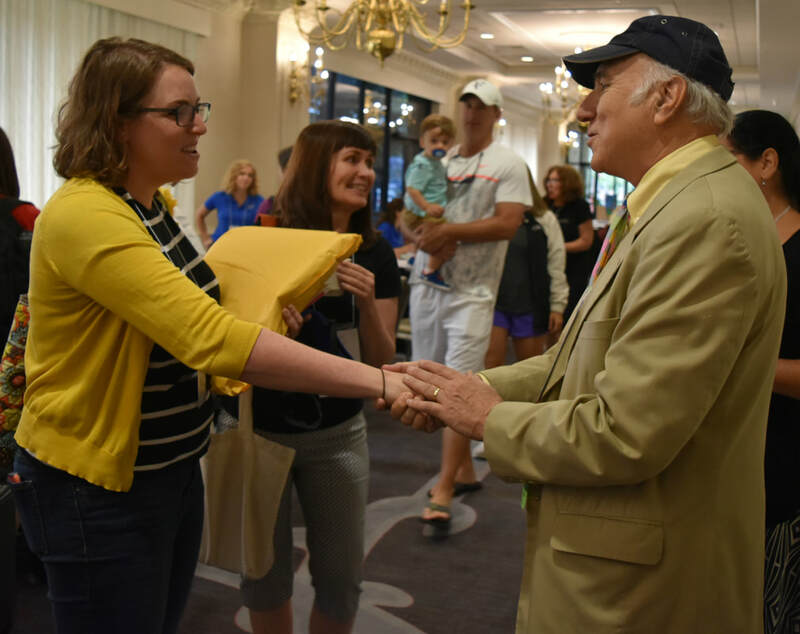 Just as the ISJL aims to connect the southern Jewish communities, each of you has the opportunity to personally inspire each other. Imagine you’re from Lynchburg, Virginia, it is lunchtime, and you are sitting to next to Joe Shimoney from Fayetteville, Texas. He casually shares with you a familiar religious school problem that you had to overcome last year. Not only are you able to help Joe Shimoney over grilled salmon and iced tea, but when he takes your advice back to Fayetteville, you have influenced an entire Jewish community--in a place you probably have never heard of before that moment during lunch. Let’s take a look at why you are attending the conference. The value of attending the ISJL Education Conference expands far beyond your partnership agreement. You can inspire and connect with communities that are facing challenges you know how to overcome. The conference allows you to meet, teach, and learn with people who care about Southern Jewry as much as you do. We want all of our communities to recognize the value of their attendance, and we hope to see you in June for our upcoming conference!